One day whilst preparing a roast dinner I sensed that something was not right, that someone was unhappy. I looked to see who was upset. He wasn't moving, but he gazed at me with one fierce eye to indicate that he was displeased with the roast dinner and in particular what I was about to do to a sweet potato. One look at the sweet potato and it was obvious. 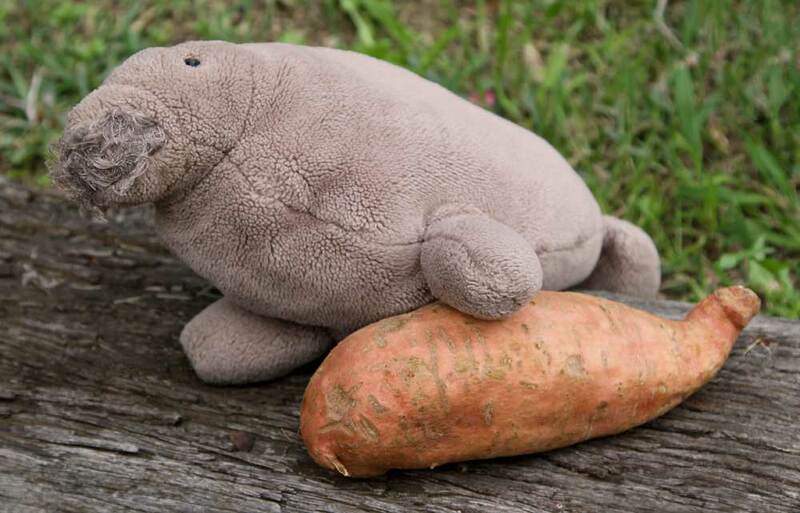 I apologized immediately to Manatee and gave him the sweet potato. He didn't say anything but I could tell he was relieved. Moments later I saw them outside playing together. It seems Manatee thinks of the sweet potato as another manatee - perhaps a little brother or a friend. Well I suppose I could roast some turnips instead. 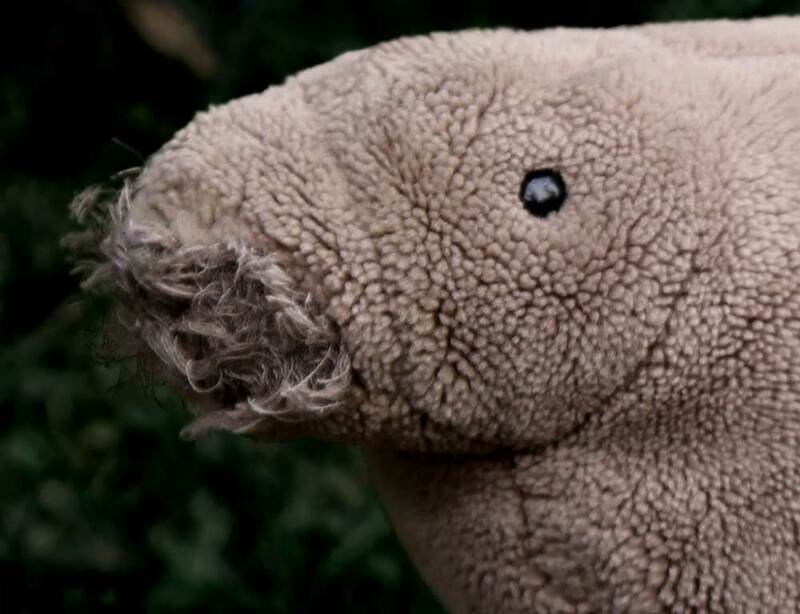 Well I thought it was Manatee, but now I have to consider that perhaps it was me, or both of us. Or maybe it was the sweet potato or the roast dinner. :D Thanks for the giggle. Yes I have the same problem. 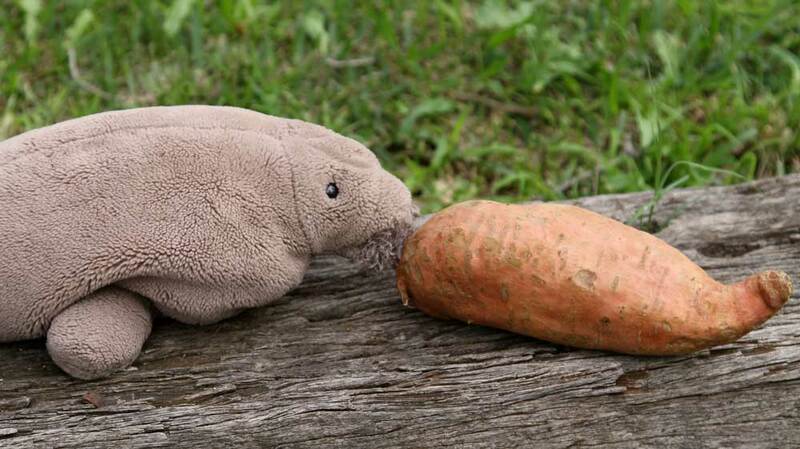 I suppose I can tell them apart as Manatee is quite nonchalant, whereas the sweet potato is as affectionate as a puppy.